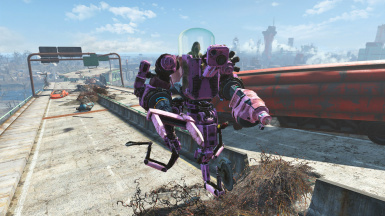 Patch for RidableBots which reduces the number of bots, makes them harder to obtain, and moves them away from NPC's to reduce issues. 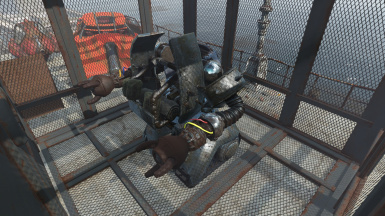 I'm a huge fan of the RidableBot mod, but there were a few issues I had with it. First of all there were too many bots around the world , which not only makes the bots less "special" but makes them too easy to find and use. There also seems to be issues with certain bots "pulling aggro" on NPCs, causing them to attack the bots and ignore the player character, even with the bot is being ridden by someone in the NPCs' faction. 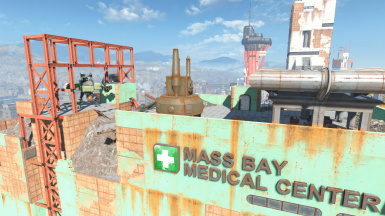 To relieve these issues I've made the bots more "rare" by removing a lot of the bots from the world, moving others to more out-of-reach locations, and making some other tweaks to the mod as well. 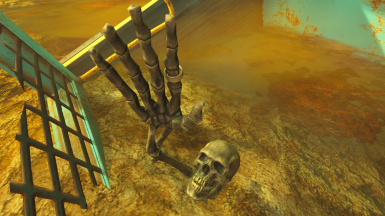 Removed many bots (and riders) from the game world, reducing them by about half. 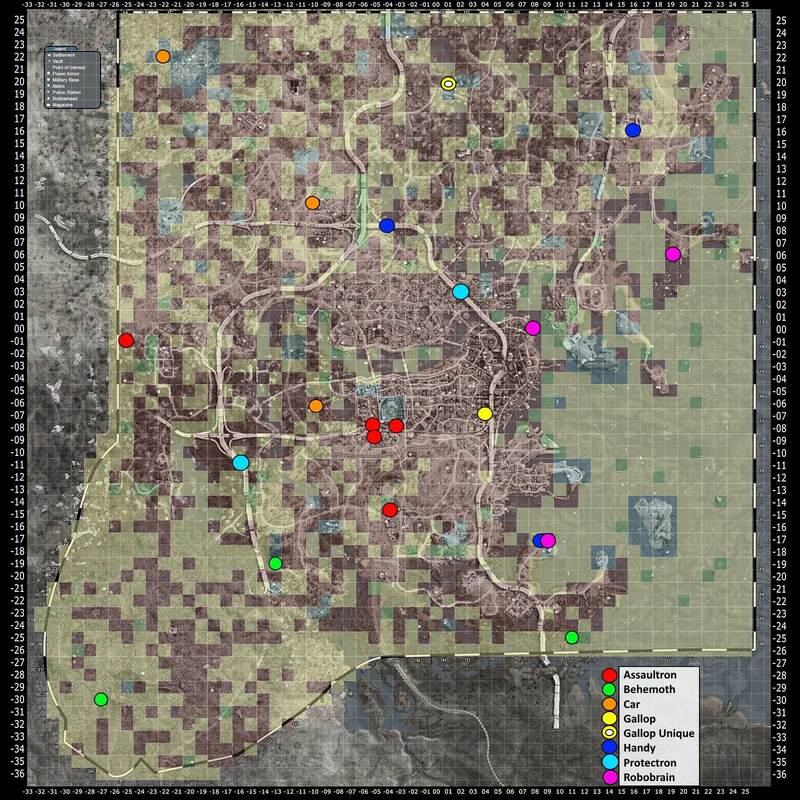 In particular, I removed bots that were in areas commonly traveled through, bots that were too close to the game starting areas (near Sanctuary), and bots that were too easy to obtain. Removed or moved bots that were too close to enemies, which would cause them to attack the bots and ignore the player. 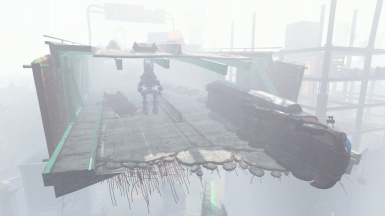 Placed bots in hard to reach places, such as high up on overpasses, in remote buildings, and in locked containers (like some power armors are). 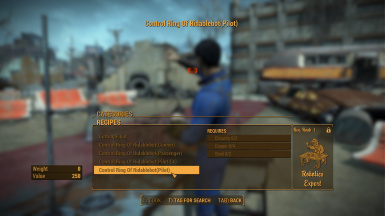 Made the control rings craft-able, as long as you have some robotics knowledge and a few components. They are under Utilities at the Chem station. 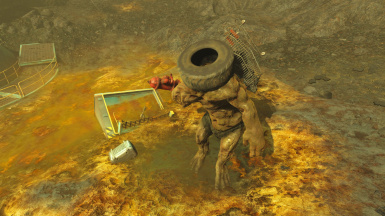 There is also a single ring available in the world, left by a deceased rider in the Glowing Sea. Removed records in the mod that seemed unnecessary, including LCTN changes, ITM records. I tried to make sure that at least a couple of each type of bot could be found and obtained, and some bots of each type are easier to obtain than others. However, once you get one bot then you should be able to use an automatron workstation to change it to any type, as long as you have the right automatron parts, and select the right type when finishing building it. 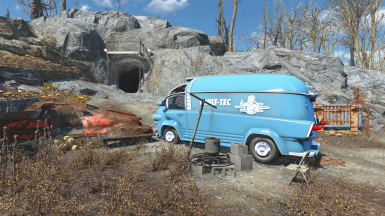 I've left the unique bot at General Atomics, and the Vault-Tec truck near Vault 111, which are the bots closest to the start, but you'll still need to find/craft a ring to use them. Just overwrite the original RidableBot.esp with mine. Be aware, bots from the original mod will probably be removed/replaced! 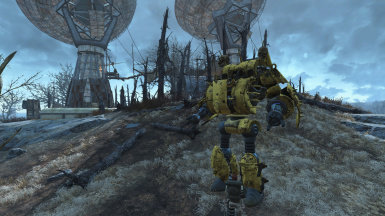 The bot at the Fort Hagen Satellite Array will probably still get attacked by the other NPCs in the area, but I felt like the bot fits in very well there, and it doesn't seem to be too big of an issue if you're fighting them all anyways. 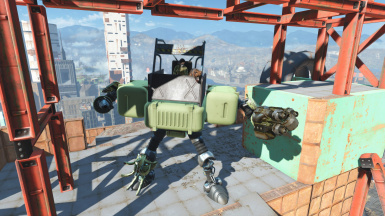 Hacking the RidableBots might remove the ability to ride them. Attacking your own bots/vehicles might make them mad and not let you ride them. The Behemoths you face may kill their own riders, mainly when they use the close-range area attacks. I tried messing with the factions on the bots to get NPCs not to attack them, but couldn't get it to work. I think there's something with the scripting on the bots messing with their factions. 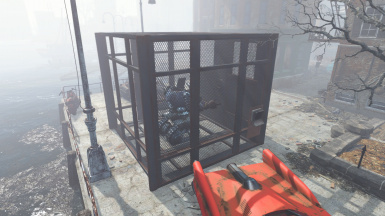 Some bots are friendly to the NPC's around them, but I couldn't figure out why or how, and really didn't want to spend too much time on it. The best way to use the bots, I've found, is the use the primary attack button (left mouse) to shoot distant enemies, and holding the secondary attack button (right mouse) to put the bot into automatic AI mode and attack close enemies. You can also double-tap left and right on most bots to quickly sidestep in those directions. Bots don't take fall damage. 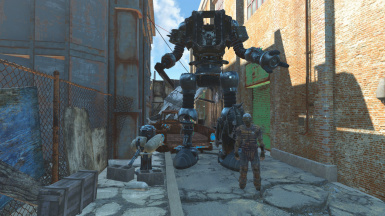 I haven't fully tested all aspects of this mod, or the original RidableBot mod, so please let me know if you notice any issues (specifically with my changes). Thanks.